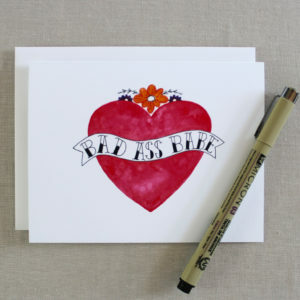 You know she’s the best, maybe even the okayest! 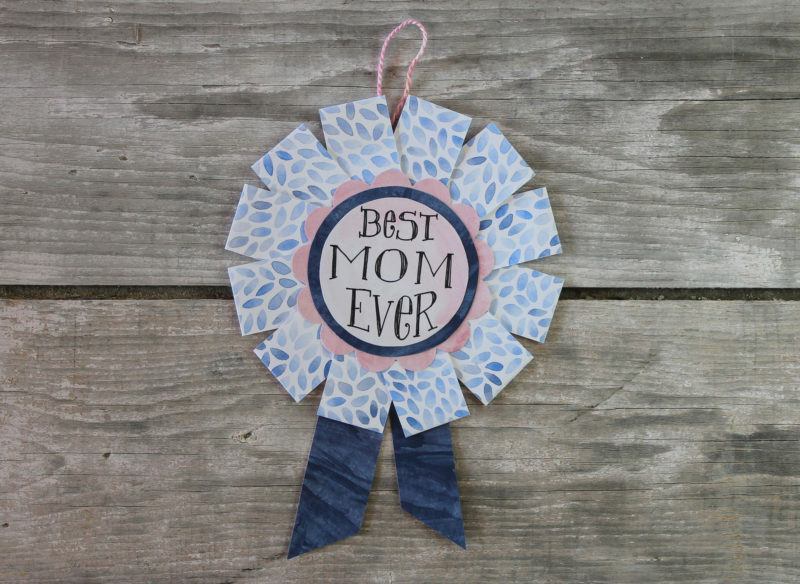 – why not show her with a handmade blue ribbon award this Mother’s Day! 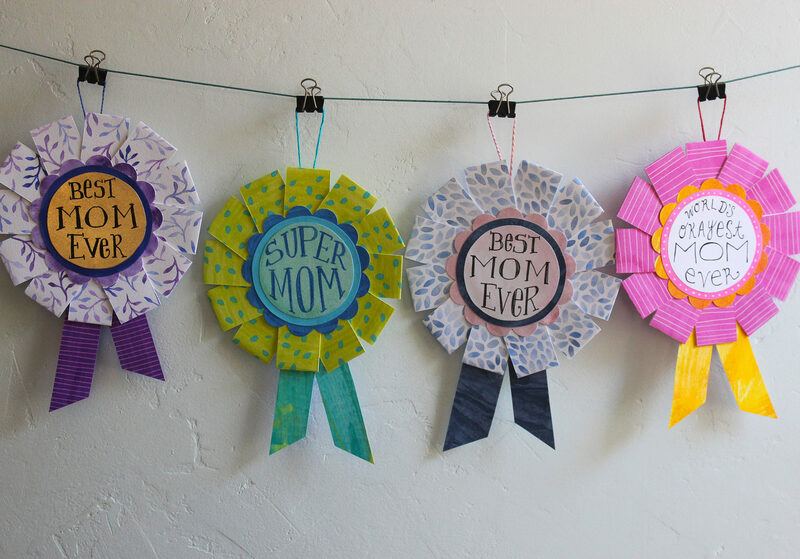 Moms deserve some recognition for all the good things they did and still do for us. 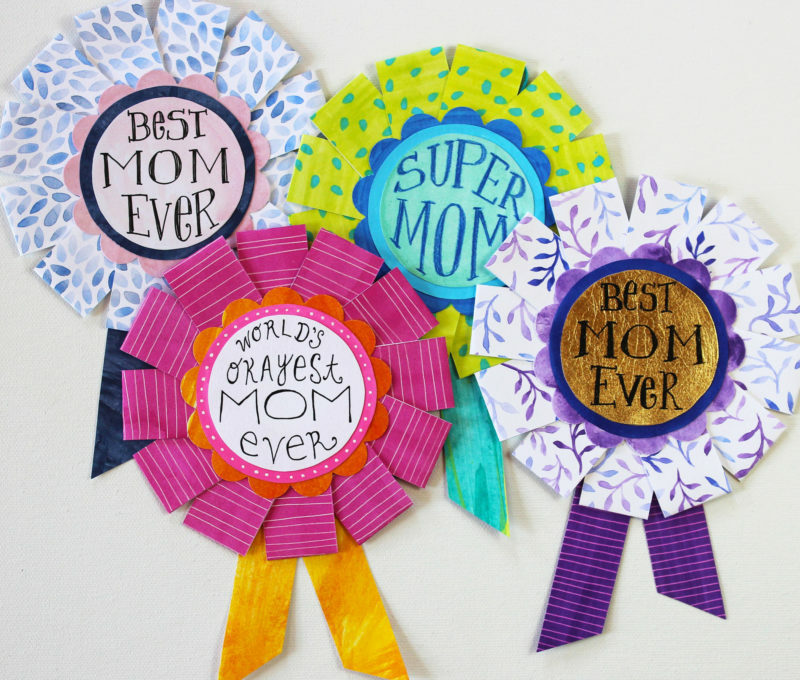 So, with that inspiration in mind, these Best Ever Mom Award Ribbons were designed. 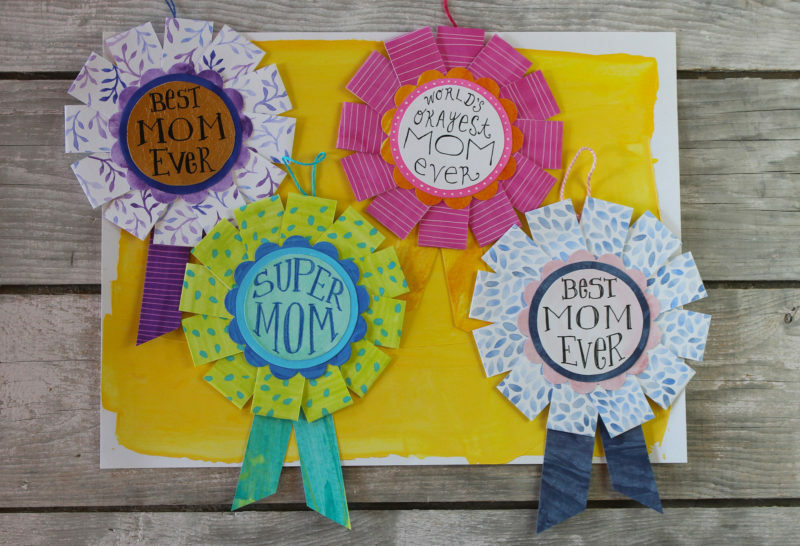 Each one is created from hand painted papers and cut and glued by me. 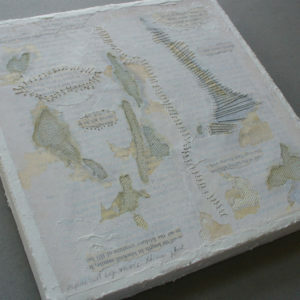 They are a labor of love as there are many steps involved before the ribbon is in it’s finished form. 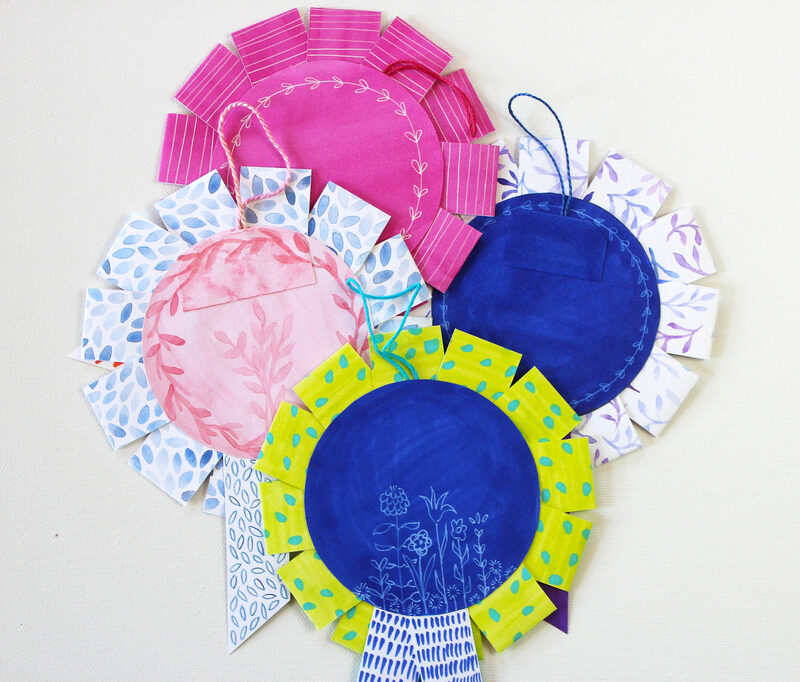 The backs are painted and there’s even a little embroidery thread loop for hanging. 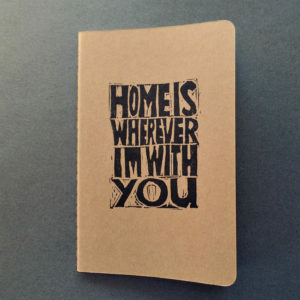 You can even use it as a card – there’s space on the back to write a little note. 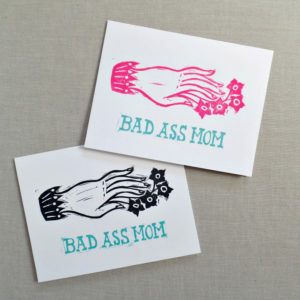 I have only one of each style ready to ship. 1. Best Mom Ever in Navy and Blush – Hand painted leaves in shades of navy and gray with acrylic ink and watercolor painted papers. 2. 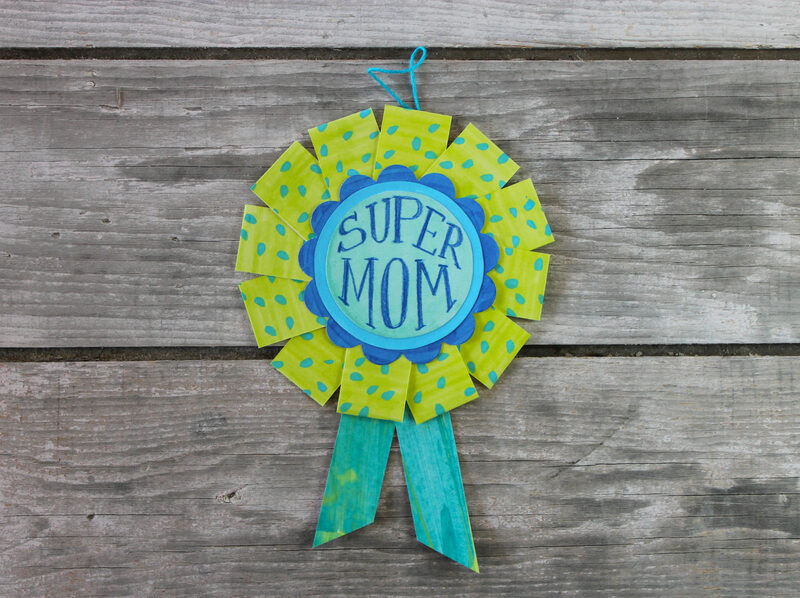 Super Mom in Blue and Green – Hand painted papers in shades of lime green, teal, aqua and blue. Acrylic ink, watercolor, acrylic paint and colored pencil were used. 3. 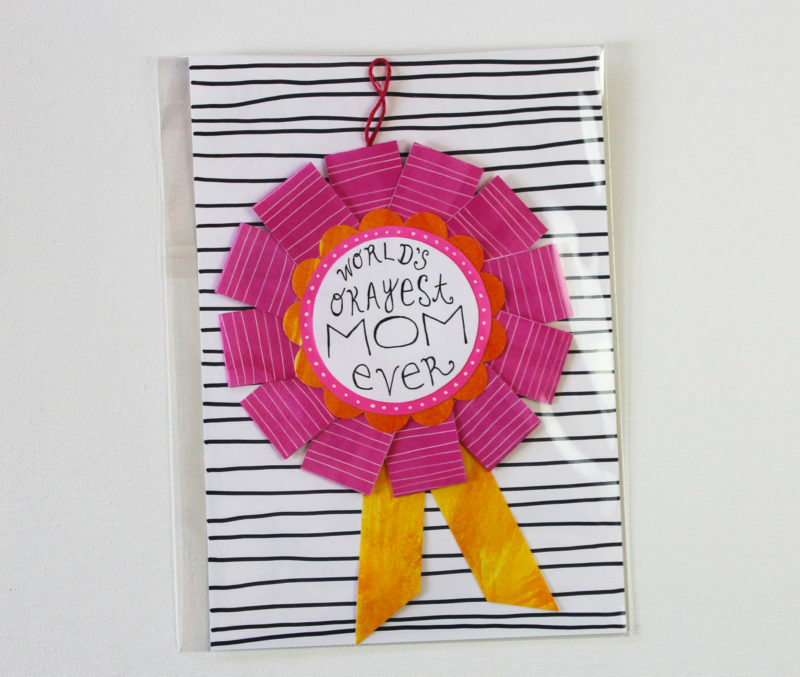 World’s Okayest Mom Ever in Pink and Orange – Hand painted papers in watercolor, acrylic ink and acrylic paint in shades of magenta, pink and orange with white ink details. 4. 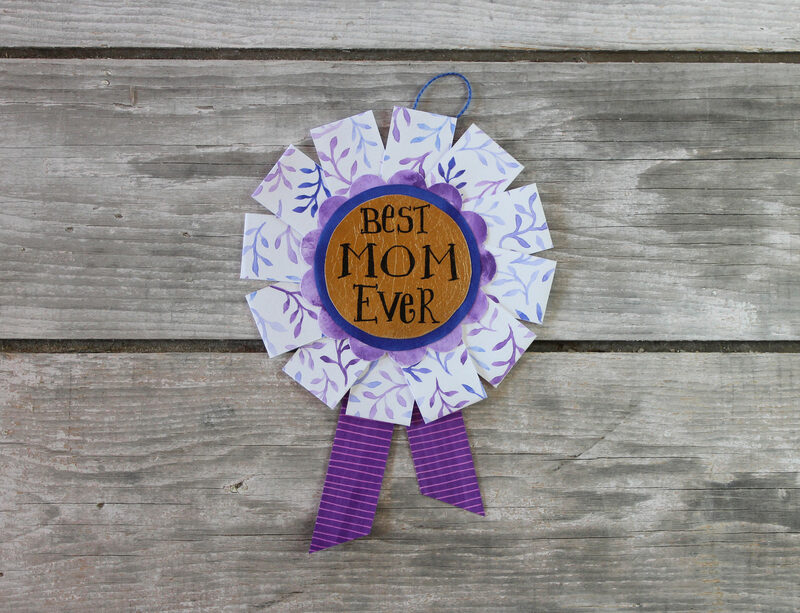 Best Mom Ever in Purple – Hand painted watercolor branches in shades of purple and violet. 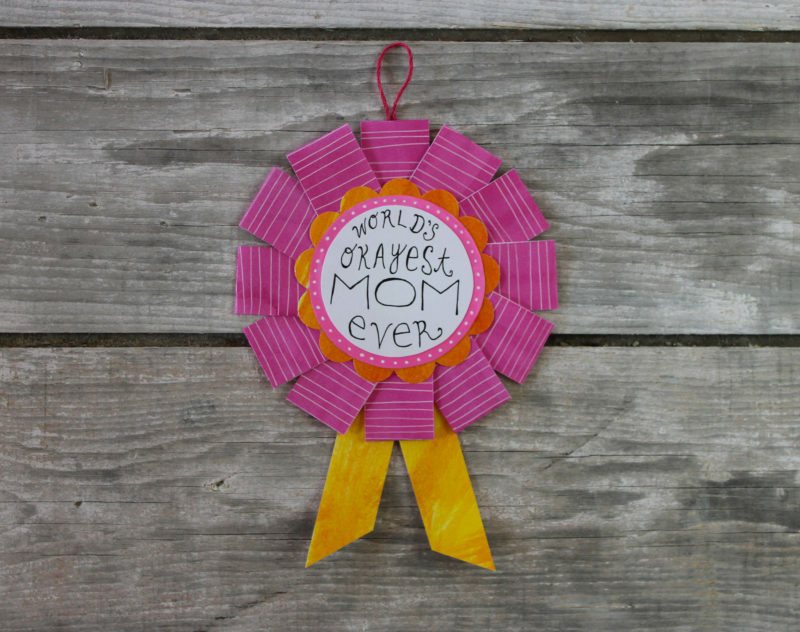 The center is gold leaf with the words “Best Mom Ever” in black. 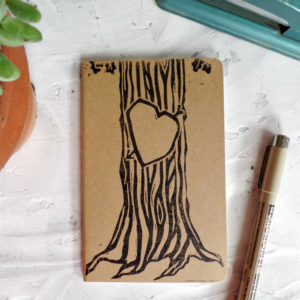 Each one is made with a variety of sturdy artist’s papers. It comes packaged in a resealable cellophane sleeve with a rigid backing board to protect it. Measurements given are approximate since each one is hand made. Width from 4 5/8″ to 4 7/8″. Length from 6 3/4″ to 6 7/8″. 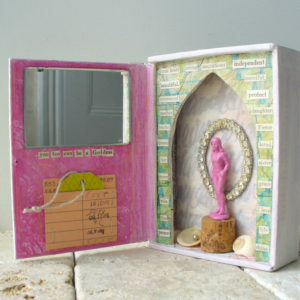 The second to last photo shows the back of each ribbon and the last photo shows the packaging. 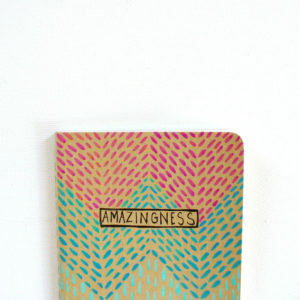 Just type the number of the ribbon you want (see above) in the “Notes for Messy Bed Studio” section at checkout.